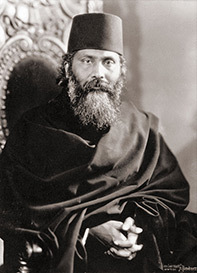 Inayat Khan smiled at me and asked, “Mr. Senzaki, will you tell me what the significance of Zen is?" Before she could rise from her seat, Inayat Khan again waved - this time with his left hand - gracefully stopping the Murshida, then he glanced at me. Inayat Khan now has adherents in London, Paris and Geneva. May his brotherhood become stronger, year after year - let us sincerely hope for it. 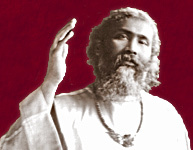 One day, Inayat Khan expressed the wish to attend a Japanese concert. I could not find any that were billed for that week, so I went to Madam Nakamura, who teaches the koto in her home, and asked her to invite him to hear her play. She consented gladly, and I went to the Sufi Temple to tell Inayat Khan about this arrangement. It was about two o’clock in the afternoon, and the Murshid asked me to meditate with him in a secluded room where his pupils received personal guidance. We sat down to meditate together, but before even one stick of incense was consumed, both of us must have entered into Samadhi, for Mrs. Martin suddenly called us, stating that it was already dark, time for us to go home for our respective dinners. We looked at each other with surprise, but nodded a knowing assent to each other. The incense had been completely consumed so long that no fragrance remained in the room. Both Sufism and Zen had become, after all, only yesterday’s dream. It was the evening of May 4, 1923, that we, Inayat Khan, accompanied by Mrs. Martin and me, went to Madam Nakamura’s studio. 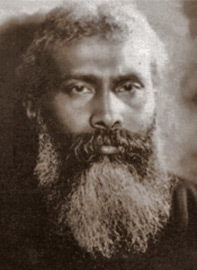 The simplicity of Inayat Khan’s manners and conduct on the way reminded me of the time when a certain Japanese high priest came to America, accompanied by a flock of attending priests, with a great show of pomp and ceremonials – he could not even move a hand without the assistance of his two chief attendants (the chief and his vice-chief). This high priest was the abbot of a certain Japanese sect, but with all his pomp and glory, his influence in America never reached an inch beyond the Japanese immigrants, and his appearances here went entirely unnoticed by Americans. Now, Bodhisattvas, I have translated my old clipping. What do you think of Inayat Khan? If you wish to meet him today, just open the door and face the lovely shrubbery in front of this Meditation Hall. 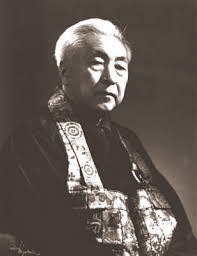 1) The preceding paper is from a collection of Nyogen Senzaki's lectures and writings published in Japan under the title On Zen Meditation in 1936. There are four questions which the thoughtful mureeds wonder about. They begin to wonder if our God is a personal God or if He is an abstract God; if Sufism teaches asceticism or worldliness; if the Sufi ideal is democratic or aristocratic; if Sufism is exotericism or esotericism. And one says one thing, another says another thing. One says, "This is true." The other says, "No, the other thing is true." It is quite possible that one these questions two mureeds may discuss and say, "No, Sufism does not believe in it. Sufism believes in this particular thing and not in the other." I have very often heard it. They have come to me and said, "Now, Murshid, you do not teach this. " It is quite an idea of that person. Perhaps he looks at life from an ascetic point of view, the other person from a worldly point of view. "But you do not like this, Sufism does not teach like this." Because they think Sufism teaches as they think. I do not mean to say that what they say is wrong, but they could have said better. I had a very amusing experience in San Francisco once. A great Japanese priest came to see me, and I was very glad to receive him. And there came with him a person who had read a great deal and who thought he knew very much about all occult and psychic sciences. So this Buddhist priest was sitting silent. It is a custom in the East. I was waiting for him to speak, and he was waiting for me to say something. But this other person could not wait any longer, he was feeling very uneasy. So I thought, "Perhaps he will feel better also if I make this Buddhist priest speak. " So I asked the Buddhist priest, "I would very much like to know Buddha's teachings in connection with reincarnation. " So before this priest had taken a breath in and out the other one began to pour out all the knowledge he had absorbed from all the books he had read, and he spoke for and against and in support of the argument. And the Buddhist priest was still sitting there unmoved, quite tranquil, hearing all that this man had to say. When this man seemed to be on the point of finishing, I said to the Buddhist priest, "I would so much like to know from your lips what you have to say about this gentleman's conversation." And the Buddhist priest smiled and said very gently and slowly and softly, "This is his Buddhism." I thought it was the most wonderful way of taking it. A priest like him who had thousands of disciples in his country could have had the price of his authority and said, "What does he know about it; I am a priest, for generations I have had this knowledge." He could have said, "What does he know about it?" He would never say it. He would not even consider it right to argue with the other. He thought, if that person wants to talk, it is just as well that he talks it out.